- There's a cute crocheted bunny HERE. - THESE little bunnies would be adorable done with crochet cotton and added to your Easter cards. - And how about THESE cute little bunnies! - I HAD to show you THIS one - if only so you could see the adorable little baby!! - We can't leave out little chicks, so how about THIS adorable one? Or THESE? - How about a sweet little Easter basket? Thrift store shopping at its best! Or maybe you'd prefer THIS one? - And finally, THESE are just plain cuteness in a jar! Today your quote is from Budda.... "What is the difference between "I like you" and "I love you"? Beautifully answered by Budda...When you like a flower, you just pluck it. But when you love a flower, you water it daily. One who understands this, understands life"
I can't share these patterns with you because they aren't truly mine. As you can see from the picture above, I've stuck to my plan of having a rose on each block, and from the picture to the right you can see that I've also included the heart. You'll see the word I used in my next post. 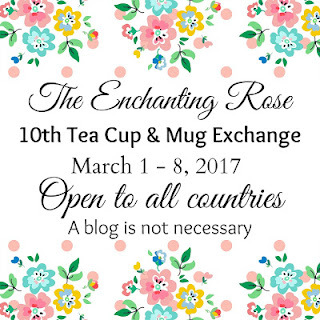 - Kathy Shaw has announced her brand new online course (free, btw!). This one is all about silk ribbon embroidery and you can find further details HERE. - The owner of Hedgehog Handworks is retiring which is a both happy and sad event. Mary Corbet has kindly made a list of alternate places where you can purchase needlework supplies and you can find that HERE. - Pam Kellogg has a cute little free Easter cross stitch pattern for you HERE. 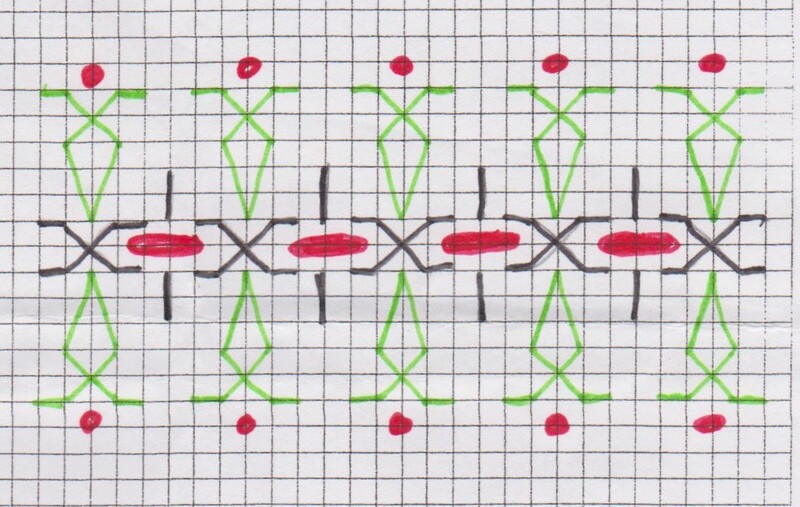 You can also find the beginning of Part Two of her 'Never Ending Band Sampler' patterns HERE. - There's a nice travel tote pattern tutorial HERE. And THIS is listed as a lunch bag, but I can see a ton of other uses for it. - In my quest to learn how to use my new sewing machine, I came across an interesting series of articles on how to use some of the various pressure feet. If you go HERE you can see the beginning of the series and then you can scroll down to continue on. Today your quote is from Mandy Hale... "You don't always need a plan. Sometimes you just need to breathe, trust, let go and see what happens"
And here are the patterns... (cross stitches and straight stitches made up each of these). - If you are attempting to crochet in the round and have problems getting your project to life flat, there's a very helpful chart regarding increases HERE. - Although THIS is geared towards crocheters in the link, I know knitters will find it useful too. I'm always searching for an easy way to join yarns and this one might just work. - I know we're coming into spring in this part of the world, but there are places that are contemplating winter, so I thought I'd give you the link to a cozy warm shawl pattern HERE. Today your quote is from an anonymous source..."Treat everyone with politeness, even those who are rude to you; not because they are not nice but because YOU are"
This one is straight stitches (black); lazy daisies (green) and I used flower beads and seed beads to finish it off. You could use French knots if you like. - I guess, since this is my blog, I'm allowed some proud mama time? Our #2 son and daughter-in-love are just launching their photography business and they have a lovely web site HERE if you're interested in seeing it. There are a couple of pictures there of our grandson too (and if you go to the 'Contacts' page you can see a beautiful picture of our son and daughter-in-love). - Do you have a difficult time finding time for your creative pursuits? Mary Corbet has written a really good article on time management on her blog and you can read her post HERE. - THIS is a pretty crocheted flower you can add to your projects. - If you're a cross stitcher, perhaps you'd like to check out THIS pretty daffodil pattern for spring. - HERE's a tutorial for an interesting way to make bag/purse handles. - and for the Lego lovers among us, there are THESE Easter-themed ideas. Today your quote is from T. Gaskins..."You teach people how to treat you by what you allow, what you stop, and what you reinforce"
This one is cross stitches (black and red; straight stitches (yellow); and lazy daisies (green). 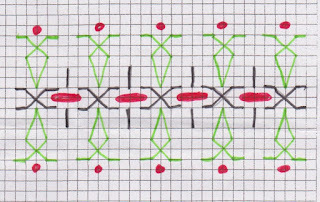 Cross & Straight stitches (black and green); rice and seed beads. 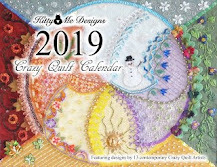 - If you have been considering purchasing any of the publications from Pam Kellogg (of Kitty and Me Designs), including the 'Crazy Quilt Quarterly' magazine, now's your chance to pick them up at 15% off through her Etsy shop. 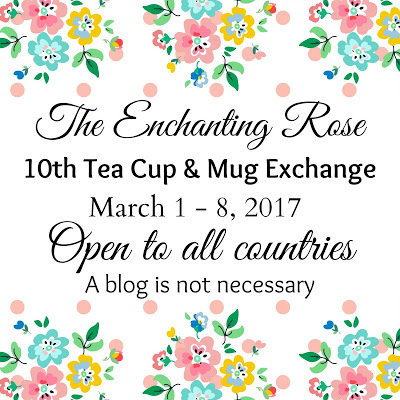 Go HERE for the details! - Check out the post HERE to make a sweet little cardinal! - For some amazing baby eye candy, have a look at THIS. No pattern but wow!! - HERE's a cute little white rabbit pattern just in time for Easter making. And a cute LAMB too (you'll have to scroll down for the pattern). Oh, and HERE's another cute lamb! - If you have a little girl in your life, perhaps she'd like a new Easter dress? Go HERE for that one. - Awhile ago I posted a link to a pattern for making Twiddle Muffs for Alzheimer's and Dementia patients and this morning I came across an idea to make Twiddle Mats (no pattern but easy enough to create) from THIS pin. If you scroll down there are lots of further ideas for making the muffs. Today your quote is from Rumi...."Yesterday I was clever, so I wanted to change the world. Today I am wise, so I am changing myself"
I have NO idea where that line appeared from!! For reasons unknown, Blog-grrrr has decided to be a pain, and will not let me do anything I want it to do, so this post is going to be a crap shoot I fear! 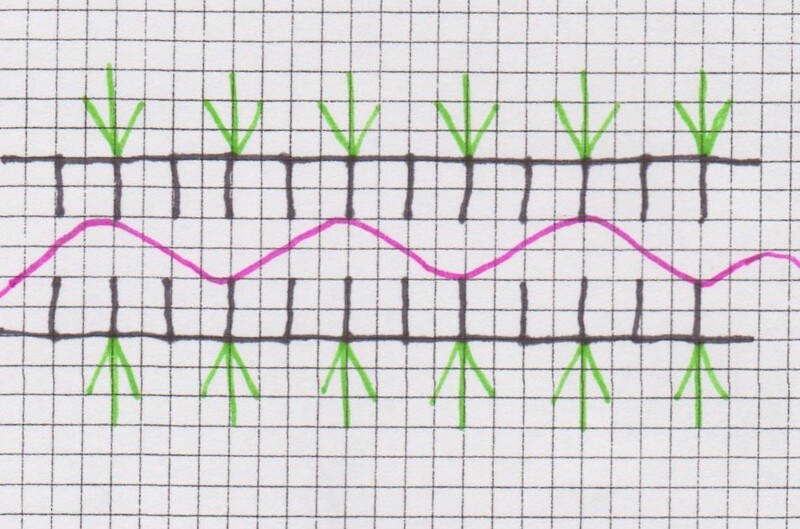 As I would have liked to say above, the seam treatment is done using blanket stitch (black); straight stitches (green) and is woven with a metallic thread (pink). - For those of you who have little girls in your life, perhaps you'd like to make them one of THESE. - Kathy Shaw has opened registration for her free online class ICQC-104 Mixed Motifs With Fabric - but you do have to hurry because registrations are only open until tomorrow night. - Sharon Boggon has a brand new crazy quilting book soon to be launched and you can read about that HERE (and perhaps pre-order your copy!). - If you are looking for a new purse pattern for spring (or fall, depending on where you are), you might find inspiration HERE. 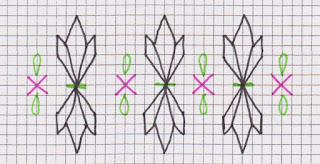 - And THIS is a cute little pouch pattern that would be handy for so many things. The quote of the day is from Sandra Kring..."The next time you decide to unclutter your life and clean up your space, start with the things that are truly useless: Like regrets, shame and anger"
....kaput, expired, done for, cadaverous, lifeless, departed, bit the dust, finished, obsolete, terminated, snuffed out and downright dead. The departed is resting in pieces. She's a lovely little Bernette 20 by Bernina. She was on sale for a great price! - Karen Ruane, embroiderer extraordinaire, has just announced her latest online class and you can find out more by going HERE. 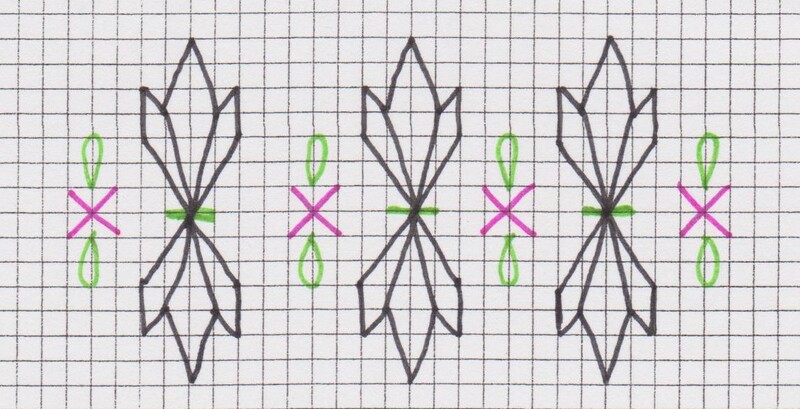 - There's a cute hummingbird cross stitch pattern HERE. And there's another one HERE (it's a PDF file). - For the crocheters, there's a great market/beach bag tutorial HERE. - If you're a coupon clipper, you might like THIS. Today's quote is from Oliver Wendell-Holmes: "Take your needle, my child, and work at your pattern; it will come out a rose by and by. Life is like that - one stitch at a time taken patiently and the pattern will come out all right like the embroidery"
And before you wonder, yes, I do know how to spell! Yesterday was one of those days. You know the ones - the kind of day where you should have stayed in bed. The ones where not a single thing you planned happened. The ones where everything that could go wrong did. The ones that the author Judith Viorst refers to as 'terrible-horrible-no-good-very-bad days'. My first mistake was to get up in the morning. Second mistake was listening to the weather report where there were dire predictions of a big snow storm headed our way. Third mistake was deciding that my plans needed to be changed and errands needed to be run, instead of my much-anticipated day to sew...because who knows how much snow we'll get and how long it will be until we can easily get out. There went the morning. Ooh - there's still the afternoon. Right??? Who was to know that my much-beloved Janome sewing machine would decide that it would be fun to take a nose dive onto the floor and bounce around a bit? Who was to know that said machine really wanted a holiday and decided that doing push ups on the floor was too much and flatly refuse to work? No matter - I have a back-up machine. Wrestled it onto the table and cleaned it up. Watched in utter amazement as the belt shredded itself before my very eyes. my whine would be welcome. - We didn't get as much snow as the dire predictions said. Yay! - How about THESE cute little Easter baskets? - If you go HERE (and scroll down) you will find several really pretty free crocheted flower patterns. - Check out all the wonderful links to be found HERE to make some really pretty (some quite unusual) aprons. The dress pattern is from HERE and the hat is from HERE (I added the flower). It still needs buttons for the back closure and I think I'll add one to the middle of the flower too. Knitting content - who knew? These little charmers are going along with two baby gifts I've been putting together - one for a wee boy and the other for a little girl. They're knitted using sock yarn and the pattern can be found HERE. We're battening down the hatches and laying in supplies - the weather man (rot his socks) is insisting that the biggest snow storm of the season is headed our way. 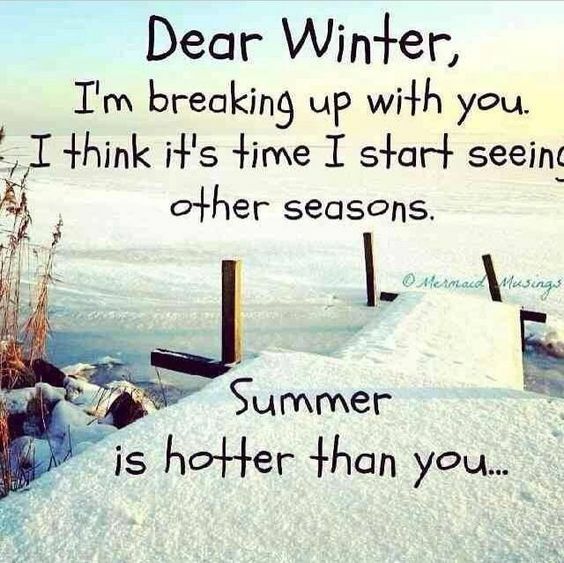 I'm so done with winter!! - THIS is a nice knitted baby sweater that would be ideal for a boy. - In my current search for a good way to join yarn, particularly in the middle of a row, I came across THESE hints and thought I'd share. It's one of the Mary Maxim kits made from super bulky yarn and is a special request from our #2 son. Of course he's the one that's 6'8" so there will have to be lots of extra length added! - For anyone who wants to whip up an Easter-themed cross stitch, how about THIS? Straight stitches, lazy daisies, cross stitches and either French knots or beads. Straight stitches, cross stitches & lazy daisies. - There's a wonderful (and free!) quilt magazine available HERE. There are a number of great articles and patterns that the quilter community will find interesting. - Dollmakers will like to check out the online classes available HERE. I drool over these, but so far haven't succumbed. And if you want to get lost in some fascinating doll-themed pinterest boards check HERE. Today's quote is from Marjorie Pay Hinckley...."The trick is to enjoy life. Don't wash away your days, waiting for better ones ahead"
And yes, I know that 'mundaneness' is not in any version of a dictionary, but it fits so I'm usin' it. 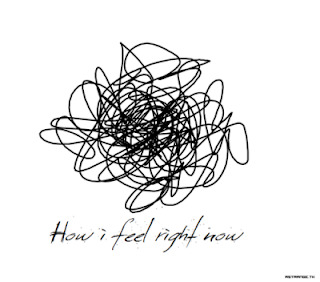 So there. I gave over to the excitement of the moment and signed on to play with this. The creation of little goodies to share with my swap partner is happening in the background and I WILL share when I'm allowed to. For now, you're just going to have to wait. - Sharon B has posted another of her interview series and this time it's with another of my friends (Maureen of CrazyQStitcher) and you can read it HERE. 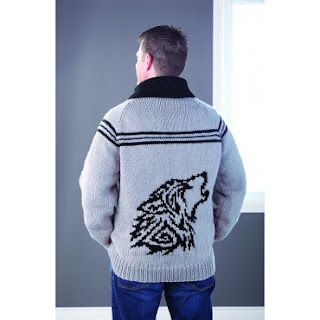 - THIS pattern is not free, but it's so adorable that it's worth the cost! There's just enough time to make one for your favourite little someone for Easter. - Kathy Shaw has opened registrations for her BCQC-2 online class (FREE, btw!!) but, as always, you will have to hurry because she doesn't leave the window open very long. Go HERE for further info. - For those of you who like to sew for little ones, perhaps you'd like to create a backpack from the instructions found HERE. - THIS is one of those blow-your-mind incredibly beautiful things that makes you want to drop everything and grab your crochet hook and make one (or six). While you're there, pay attention to the sidebar on the right and take note of that beautiful 'Frida's Flower Blanket' - I LOVE that colourway!! The free pattern to make your own can be found HERE. Today your quote is from L. R. Knost..."Life is amazing...and then it's awful. And then it's amazing again...and in between the amazing and the awful it's ordinary and mundane and routine. Breathe in the amazing...hold on through the awful...and relax and exhale during the ordinary. That's just living. Heartbreaking...Soulhealing...Amazing....Awful....Ordinary life. And it's breathtakingly beautiful"
- THIS tutorial shows a mini-ironing board that looks like it would be a great addition to a sewing space. HERE's one that's even less work to create. 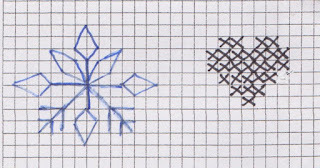 - HERE's a really interesting shawl pattern that would be perfect to use up some stash yarns. And HERE's another really pretty one! - Baby shoes should ALL be THIS cute!! 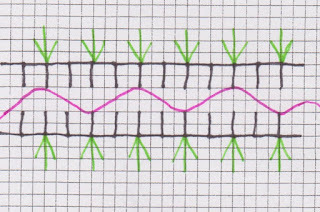 - There's a great post HERE about how to set your sewing machine up for thread drawing. Today the quote is from George Carlin..."Trying to be happy by accumulating possessions is like trying to satisfy hunger by taping sandwiches all over your body"
and a word reflecting courtship. - THIS is a sweet little pillow cover - not sure if I like it because it reminds me of spring or if the prairie points are 'the thing'. 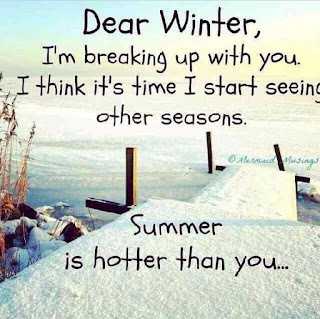 Today it's bitterly cold and windy here - a marked contrast to the few days of spring-like weather we had been enjoying. 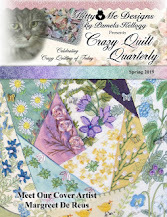 - Kathy Shaw has opened up registrations for her online crazy quilt class for beginners, but you'll have to act fast! Go HERE for further info. Oh, and did I mention that it's free? - If you're like me and love the look of neatly folded fabrics on a shelf there's a great tutorial HERE about how to achieve that look (and just going to the post and drooling over her shelves is enough to give me heart palpitations!!). Today your quote is from an anonymous source..."These are NOT grey hairs! They are my wisdom highlights. I just happen to be extremely wise." I'm now working at the 'fillers' (for lack of a better term!) for Block Four. - THIS is a really nice bag - suitable for lots of different uses. - THIS falls under the beautiful eye candy category. Wow! - And THIS falls under the awwww category too. - I expect all of you to start saving your toilet paper rolls after you see THESE! Today your quote is from Maya Angelou..."My mission in life is not merely to survive, but to thrive; and to do so with some passion, some compassion, some humor, and some style"